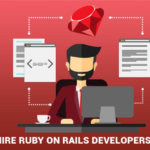 If you are a startup particularly interested in rapid web development processes available cost-effectively or you are a developer who in interested in learning a developer-friendly technology, you must have heard about Ruby on Rails. It is an open source framework based on Ruby programming language. Not only is this technology user-friendly from development point of view but the best part about using it is the shortened development cycle and the efficiency it imparts to your projects. If you’ve just been introduced to this technology – whether as a startup or as a developer, it is important for you to know that this platform makes use of Model-View-Controller architecture pattern in order to organize the process of development with this technology. MVC basically implies the ability to efficiently relate the user interface with the underlying data models. This is what makes this technology developer-friendly. So, whether you are a startup interested in this startup-friendly development technology or you are a developer who is a beginner to this technology, you must be looking for the ways to make the process of development more efficient for you. Rails has an awesome plug-ins structure, to begin with. This does not only allow a developer to instantly and easily download the needed plug-ins but also, to integrate these downloaded plug-ins with equal ease to the applications in the making. 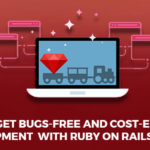 While the original development of this technology – Ruby on Rails required about 5-6 plug-ins, over the time, it has become evident that the key to successful and efficient rails development lies in making the right choice of the plug-ins. So, as an aspiring Rails developer, you must strive to choose the right plug-ins that can help you make the most of your development process. As a developer, you are required to achieve high level of efficiency with respect to your projects. For this, you need to make sure that your project is on the right track and running smoothly at every given point in the project timeline. 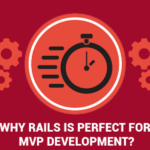 Ruby on rails allows you to perform the process of automated testing that helps you ensure this. So, with this, you can stay updated of the project progress and ensure achievement of positive and accurate outcomes from your Rails project. There are times when you will have the code already obtained from a source while you won’t be aware of the results that could be yielded using that code. In such a scenario, you can simply use console – the tool that RoR offers for you to avail an interactive session making use of that code which you already have available with you. All the Rails applications without any exceptions do have some constants. These constants are basically the variables that have been defined with the data that doesn’t change. The examples are: the application name, the tagline etc. It is advisable to use the Rails initializer feature to define a config/initializers/site_config.rb to store all these constants. When you use this as a convention, it becomes rather intuitive for every developer on the same project to know where to find these constants and make the required changes as quickly as possible. Rails allows you to activate exceptions notifications. Make use of this feature to stay aware of any exceptions that happen during the process of web development with Ruby on Rails. This saves you from a possible embarrassing situation when your client has had to inform you about an issue faced while using the application and thus, you can be aware of it on time and already working to resolve it before it gets noticed by anyone. Using these tips right from the start, you can take the efficiency of your Rails Development projects a few notches higher already. 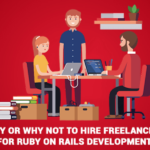 In addition to this, it helps to stay connected with the large, active and erudite community of Ruby on Rails that is always there for you, in case you need a help with an issue or need to get updated on a specific aspect of this technology. RailsCarma has been working on Ruby on Rails framework from its nascent stage and has handled over 250 RoR projects. 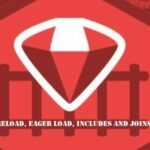 With a team of over 100+ Ruby on Rails developers well-versed with latest techniques and tools, RailsCarma is well suited to help you with all your development needs.